This book is an in-depth examination of the relations between Ireland and the former East Germany between the end of the Second World War and the fall of the Berlin Wall. It explores political, diplomatic, economic, media and cultural issues. The long and tortuous process of establishing diplomatic relations is unique in the annals of diplomatic history. Central in this study are the activities of the Stasi. They show how and where East German intelligence obtained information on Ireland and Northern Ireland and also what kind of information was gathered. A particularly interesting aspect of the book is the monitoring of the activities of the Irish Republican Army and the Irish National Liberation Army and their campaigns against the British army in West Germany. The Stasi had infiltrated West German security services and knew about Irish suspects and their contacts with West German terrorist groups. 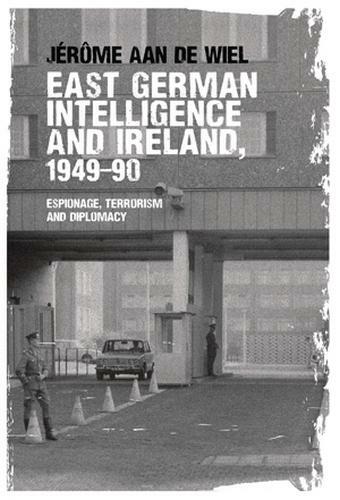 East German Intelligence and Ireland, 1949-90 makes an original contribution to diplomatic, intelligence, terrorist and Cold War studies. 'An Irish specialist will find much of value in East German Intelligence and Ireland, 1949-90 and many interesting stepping-off points for further research.' Augustine Meaher, Air University, H-War, January 2018 -- .